UPDATE: Problem solved! The VMWare add-in VMDebugger was the culprit. I recently upgraded to Visual Studio 2010 and had a rude awakening: VS2010 starts up very sloooooow. I have a 2-year-old dual core laptop. Visual Studio 2008 starts in about 3 seconds. The first time I start VS2010, it takes about 55 seconds. Subsequent startups take 25-30 seconds. The hard drive doesn’t thrash; instead, the splash screen just sits there for a half minute before the IDE finally opens. I’m sorry to hear about all the performance issues you’ve been having with VS2010. The majority of customers actually find it faster than VS2008; however, we know there is still room for improvement. There are rumors that VS2010’s poor performance is the result of Microsoft using Windows Presentation Foundation (WPF) for the UI. Problems with WPF and .NET performance in general recently caused Evernote to abandon .NET for native code. As a result of VS2010 poor performance, I have reverted back to Visual Studio 2008 for most of my development projects. I use VS2010 only because it’s required for Windows Phone 7 and Android development using Mono-Droid. Hopefully Microsoft will fix these issues in SP1. I agree. VS2010 is incredibly sluggish for me (VS2008 is not). I even went so far as logging this with Microsoft Connect, sent them a dump file. Of course, they couldn’t duplicate the issue and i simply don’t have the time to continue folllow-up, so the ticket was closed. I agree, but it’s not just at startup. In Visual Studio 2010 the code editor starts to bog down after a while, Intellisense can take 5-10 seconds to popup, which pretty much defeats the whole point of Intellisense. It feels like I’m using an old 386 chip instead of my quad-core screamer. This is simply really bad programming. The Visual Studio developers should be ashamed of themselves. It’s amazing how far Microsoft has fallen in less than a decade. Windows Vista, Windows Mobile, Silverlight, and now Visual Studio FAIL. 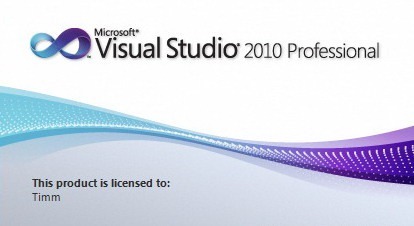 I’m going to stick with Visual Studio 2008 for now (sorry I wasted $400 on the 2010 upgrade). But I’m looking at switching to IOS and Android. Sadly, Windows is now your father’s Oldsmobile. i have a 4 year old core 2 duo at home with a nvidia 9800GTS that I just installed. VS2010 starts up in < 5, where VS 2008 became very sluggish. Could it be the Vid card? Uninstall all your add-ins and extensions. Disabling is not good enough. The install them again, one at a time, closing and opening Visual Studio. This will restore the startup/load time.